we exist to help more young people to discover, explore and enjoy being outdoors. Birkheads Wild grew from our passion for the outdoors into a place for free range humans. We LOVE: wild camping, getting grubby, growing naturally, smelling of woodsmoke, "leaving no trace", looking after wildlife, simple fun, learning about nature, home made stuff, going wild, being off-grid and generally playing out. Secluded and surrounded by trees, our site is off-grid, car free, with a gorgeous composting toilet and parachute covered group camp fire area. We have developed the site in an environmentally friendly way, and aim to leave no trace at every camp. We re-use and recycle almost everything on site and we buy local wherever possible. Fiona founded Birkheads Wild in 2015 after wandering around the field (which came with the house she and her husband had bought) and deciding that such a beautiful place should be shared with others. This decision made her brave enough to start calling herself a social entrepreneur and she began to plan Birkheads Wild CIC in her spare time. Fiona has over 20 years of experience of working in the not-for-profit sector in commercially focused roles - including 10 years experience in Fundraising and Development roles and over 5 years in senior management positions. An experienced group facilitator whilst working as Operations Director for leadership development charity Common Purpose she developed her skills in group and team facilitation and coaching - working with individuals and teams to help them plan for the future and understand the present. 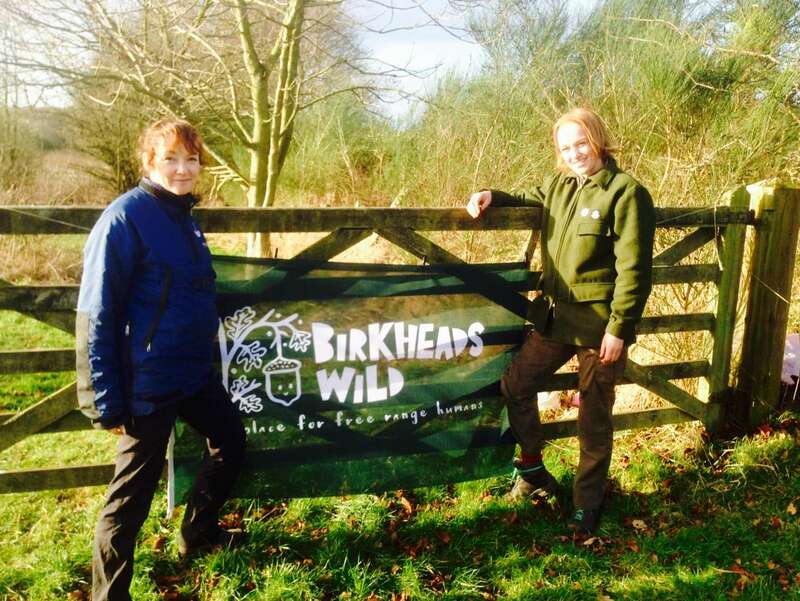 Bringing over a decade of leadership development and facilitation experience to Birkheads Wild she is now adapting all she has learnt to an outdoor setting. Fiona is a qualified Day Walk Leader (Sports Leaders UK Level 3), and also holds an ITC Certificate in Outdoor First Aid. Fiona is currently embarking on her OCN Level 3 Forest School Leader qualification which she hopes to complete in 2018. She is also a keen gardener and veg grower, and lover of being outdoors. Alison holds a lifelong passion for the outdoors, and after graduating with a degree in environmental sciences in 2001, has worked as a Countryside Professional for her whole career to date. 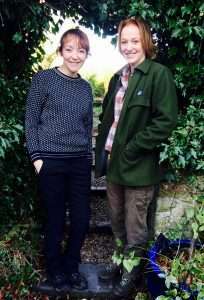 Managing various urban fringe sites around London between 2001 and 2003 Alison was responsible for co-ordinating and delivering cross-curricula formal education sessions in addition to countryside events and activities for the public. She has been working at Epping Forest, the largest open space in Greater London, since 2003. In her role as a Forest Keeper she has introduced and developed a Bushcraft programme of events and activities, working with school groups, families, adults, and young people with SEN. She is now training volunteers and other members of Epping Forest staff to deliver and develop Bushcraft events. Her innovative events such as 'Venison Butchery and Cooking' have featured on Radio 4, Radio 2 and in 'Time Out' magazine. 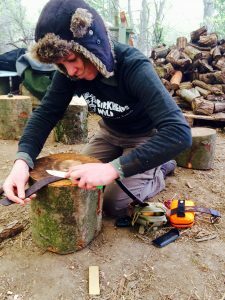 Alison has completed a Woodlife Trials Bushcraft Instructors Training Programme and will complete her Diploma in Bushcraft (level 3) in 2017. She spends her spare time designing and delivering sessions at Birkheads Wild. Ellie is a Director of Birkheads Wild and wanted to come on board to advise and support with her background in project management, fundraising and governance skills. Currently a Fund Manager at Community Foundation Tyne & Wear and Northumberland, Ellie is a passionate advocate for our mission of ‘free range humans’. With her husband Simon they have two young children; who she jokes are ‘most enjoyable, out in wide open spaces!’ Ellie holds a number of other voluntary roles including organising an annual 24Hr Running Race and as a Governor at West Newcastle Academy. In addition to being a Director of Birkheads Wild, Gemma is currently Senior Programme Director for Common Purpose in the North East, delivering leadership development programmes for individuals and groups at all stages of their career. She lives in County Durham with her husband, two boys and wirehaired pointer where she enjoys photography and loves exploring the beautiful countryside and coastline of our region.